Choose from our wide range of furniture, duvet cover sets, duvet inners, cushions and accessories online at Harvey Norman. We have an elaborate selection available to buy in-store or online. 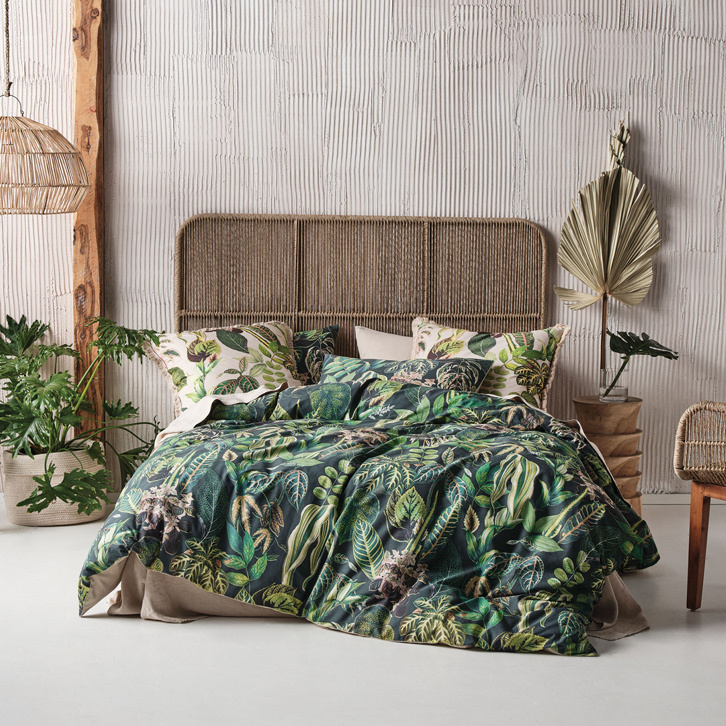 Whatever your style, whatever your budget, you are sure to find the perfect bedding option right here. We stock the biggest names, so you can find everything you need, all in one place – from Sealy, Sleepmaker and Tempur to bed linen suppliers like Sheridan, Novadown, Bambi and Logan and Mason. Begin at your bedroom where the perfect bed can make a world of a difference. To assist you in finding the right bed, we stock a range of beds and suites. In this range, you will find beds and bedroom suites to match your bedroom décor, style and size. Whether you’re looking for a traditional-looking bedframe or modern and low style, our bed range gives you variety of options to choose from. You can’t have the perfect bed without the right mattress. Find all the top brands in our mattress range including Imperial, Palatial Plush, Slumber Support, Cloud Breeze and more. Whether you prefer a soft mattress, a firm or a super firm, check out our great mattress range to find the mattress that suits you. But that’s not all. We also stock a huge range of bedroom furniture and bedroom storage, we have quilts, quilt covers, pillows and electric blankets, we have bedroom lighting and we have towels. 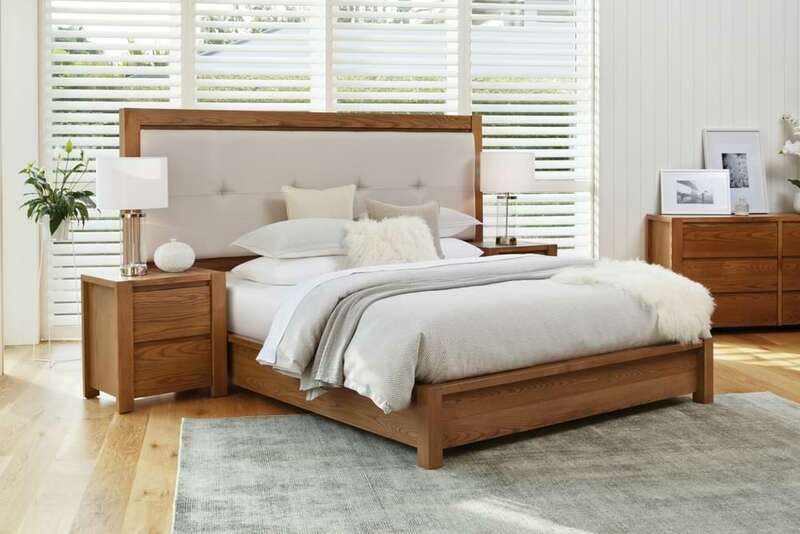 Check out our extensive range of everything bedroom to find the brand you want, the style you like and the price you need. From beds to duvet covers, discover our bedroom range at Harvey Norman. Find the right bedroom furniture, lighting and mirror to improve your home décor. 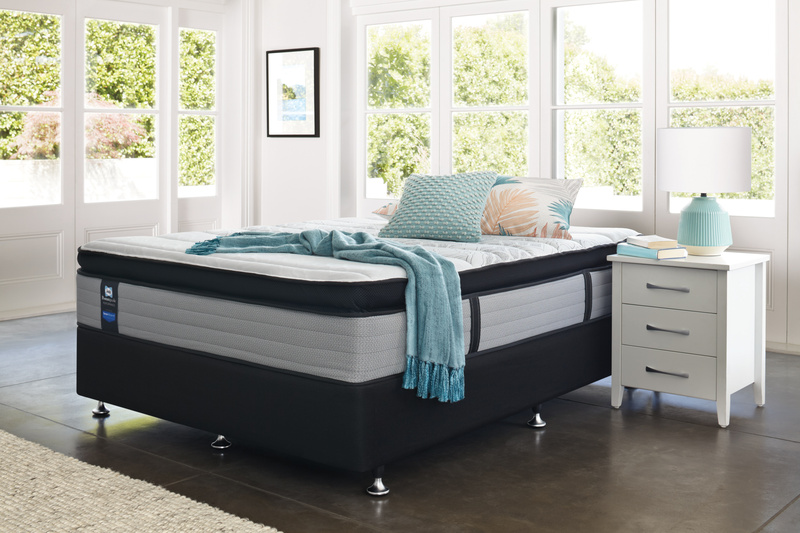 At Harvey Norman we have a huge range of Beds and Mattresses to choose from, which combine both comfort and support to match your individual sleep style. Don’t compromise the quality of your sleep. Invest in the most important time of your day – nap time. Take the fuss out of shopping for your bedroom and create a cohesive look that is true to your style and tastes. With options to accommodate every bedroom in your home, whether it is for a child, teenager, guests or your own personal space, we have you covered. We believe in offering great quality products at the best price possible every day. That’s why we have a range of fantastic bedroom furniture and bed linen options available, perfectly priced so that you can grab a bargain every day. More than just the standard horizontal bed experience. 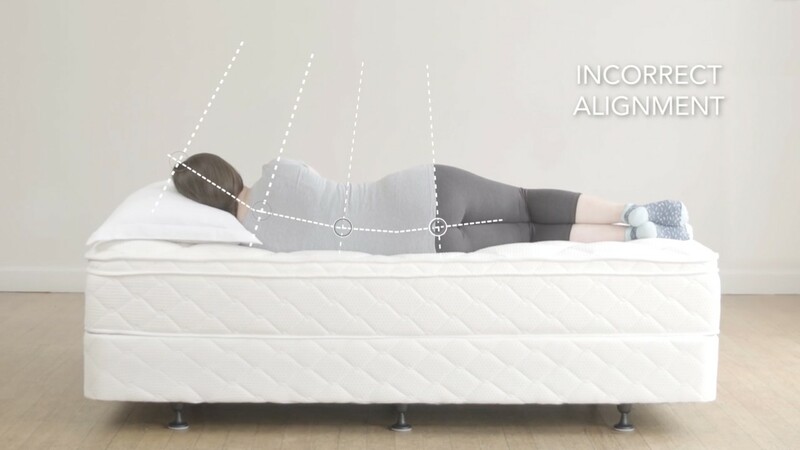 Finding the right mattress for you. 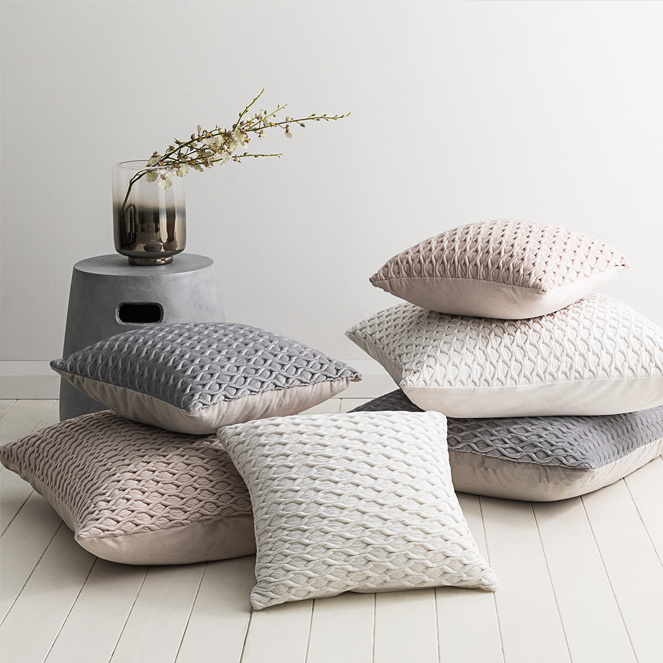 Select the best pillow for your sleep style. 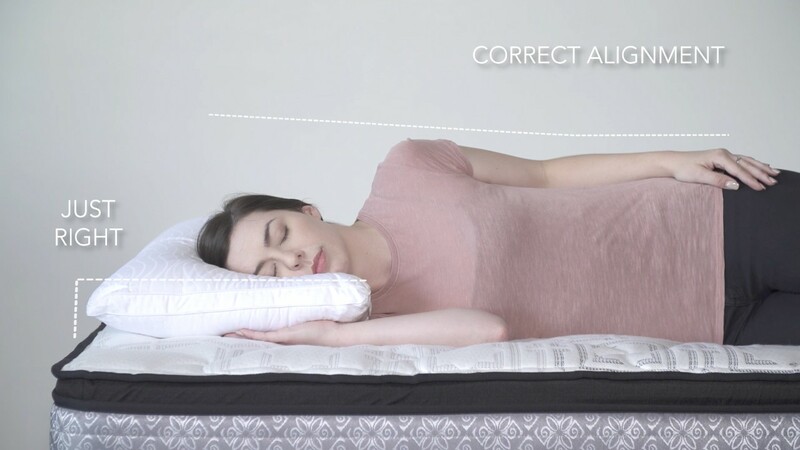 Trial your new mattress in your own home for 30 nights with these easy steps. Be prepared for unexpected guests with the Kiwi King Single Trundle Bed by Englander. This trundle bed features a King Single bed with a Single trundle bed that easily stows away under the bed frame when not in use. Allow yourself to get the sleep you deserve with the Viva Plush Queen Bed by King Koil. All King Koil sleep surfaces are hand-crafted with the highest quality products that A.H Beard are well known for. The Viva range is no exception to the rule. The Brooklyn Bunk Bed Frame by Nero Furniture is made from solid NZ Pine and is made to stand the test of time. The perfect solution for a shared children's bedroom of if the kids enjoy sleepovers often. This bunk bed frame contains an easy to climb ladder on the side and provides the added convenience of a double bed on the bottom. The top bunk is railed for safety and this classic bunk bed can also be converted into two free standing beds if desired. If your kids have a shared bedroom or enjoy having sleepovers, then the Jamie Single Bunk Bed Frame by Nero Furniture is the perfect space saver for your kids bedroom. 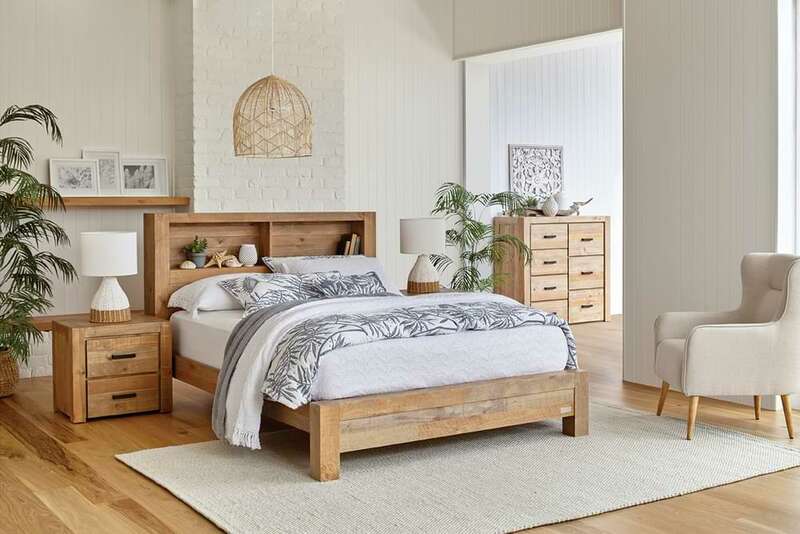 Made from solid NZ Pine, this bed frame is made to stand the test of time. It also contains an easy to climb ladder on the side and the top bunk is railed for safety. This timeless bunk bed can also be converted into two free standing single beds. Enjoy the convenient space saving features of the Dream Support King Single Trundle Bed by Sleepmaker. This trundle bed is a comfortable king single bed that comes with a pop up single trundle bed making it ideal for sleepovers and guest rooms. 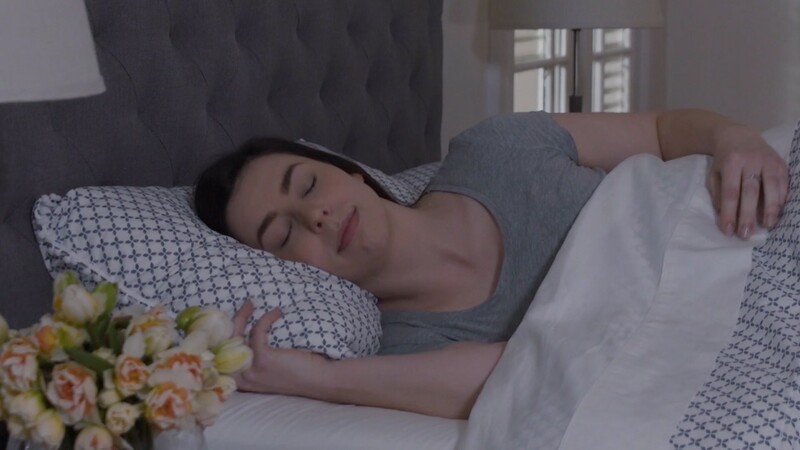 Enjoy the classic comfort of the Sleep Support Classic Queen Mattress by SleepMaker. This is an affordable mattress that offers comfort at a great price as well as comfort and quality. 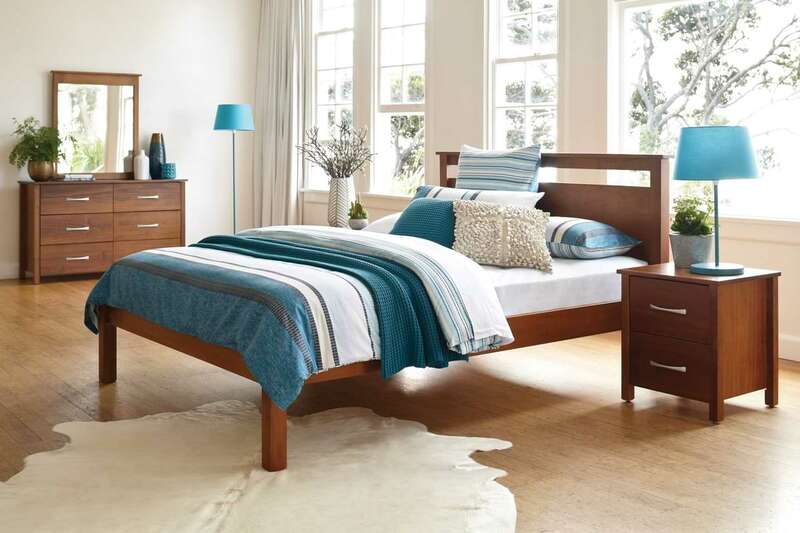 Enjoy the modern straight lined design of the Boss 4 Piece Bedroom Suite by Platform 10. This bedroom suite will surely impress with its sleek straight lines and immaculate edging. 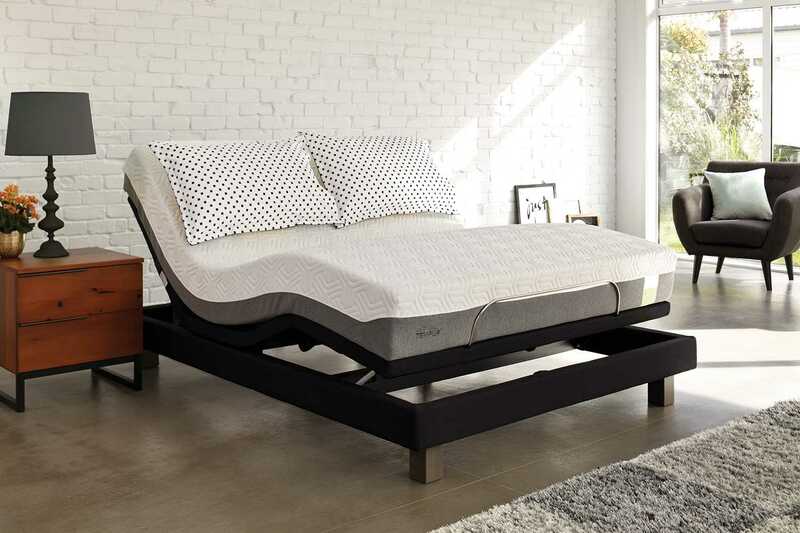 Enjoy the classic comfort of the Sleep Support Classic Queen Bed by SleepMaker. This bed is an affordable bed that offers comfort at a great price. So that you will never need to compromise on comfort or quality again.